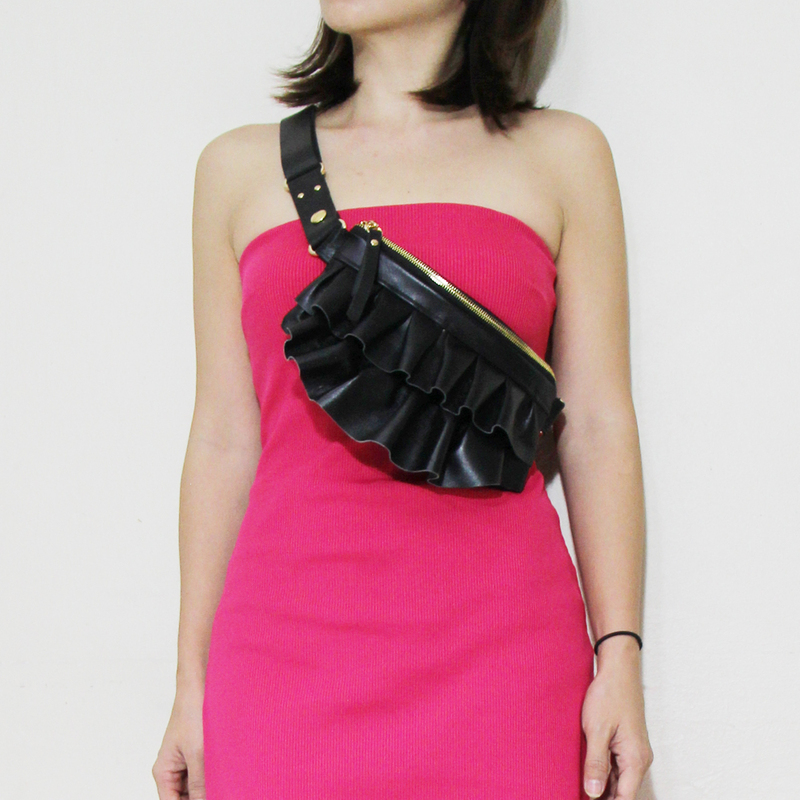 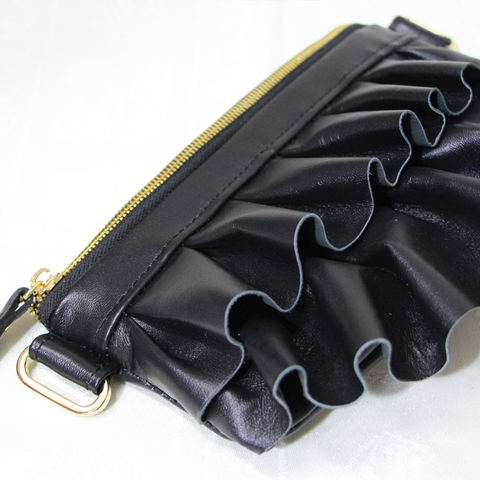 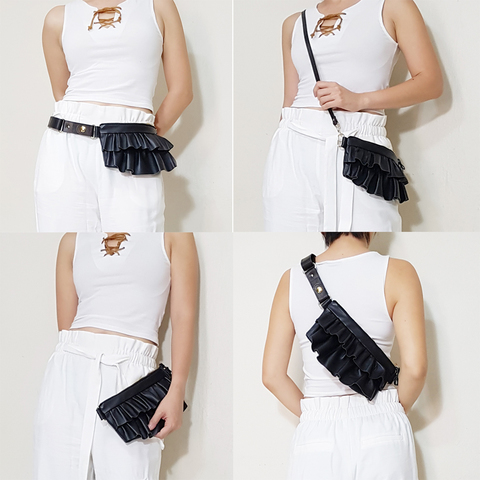 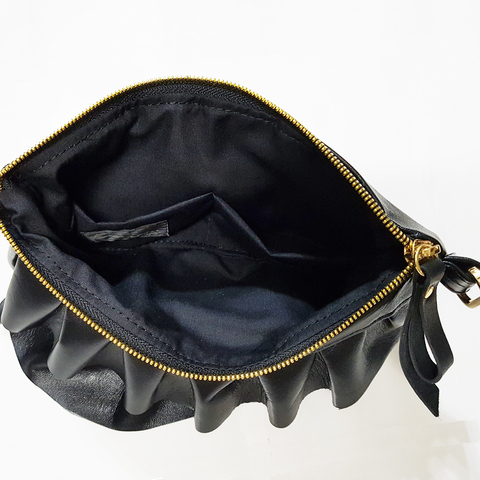 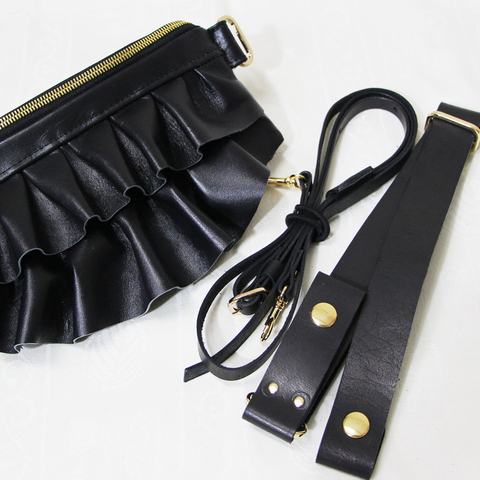 Our new version of Mini Gathered waist purse made in GOAT LEATHER and Waist Belt and Sling Strap is made in COW LEATHER , it can 3 ways, as a Fanny pack / waist purse, an clutch bag and Sling bag. ** Dinner, Clubbing, Work, Party and many more..
** Leather Adjustable Sling / Crossbody Strap : Max 40"
The Waist purse is made from a GOAT LEATHER AND COW LEATHER BELT AND STRAP IN BLACK and fully lined in ivory Cotton. colors ~ may vary from computer screen to computer screen.